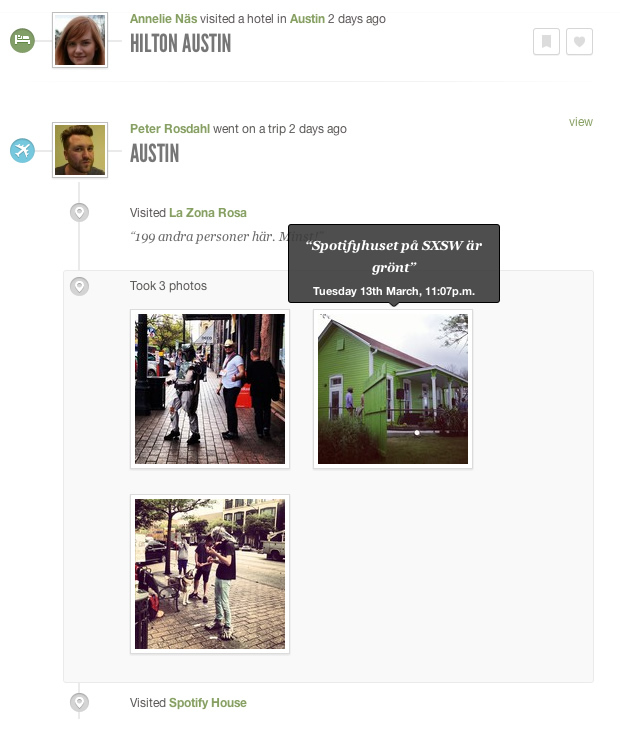 I'm using this awesome new service to see what my friends are doing at SXSW in Austin. About ten of my friends are in Austin at the moment, which gives me a very nice feed. The pieces of the Tripbirds puzzle are really beginning to come together!